Bring the taste of summer to your venue with the sweet, refreshing flavor of Fox's orangeade concentrate. Far from the average beverage mix, this concentrate is great for making a perfect citrusy treat for any occasion! Why bother with messy powdered drink mixes that don't always dissolve properly? This concentrate is easy to use and requires virtually no clean up. A corporation specializing in irresistible ice cream toppings, sweet syrups, and fizzy soda mixes for over 100 years, H. Fox & Company takes great pride in their products. Orangeade is an excellent refreshment to help quench your patrons' thirst in the heat. Featuring an authentic orange flavor, this concentrate is sure to make customers come running. The vivid orange color adds visual appeal while its sweet, juicy orange flavor is irresistibly tasty. Enhance your beverage presentation by adding real fruit slices to every pitcher, dispenser, or glass of orangeade. Your business will be in good supply of this popular summertime beverage with about 96 (8 oz.) servings of concentrate per 1 gallon container. 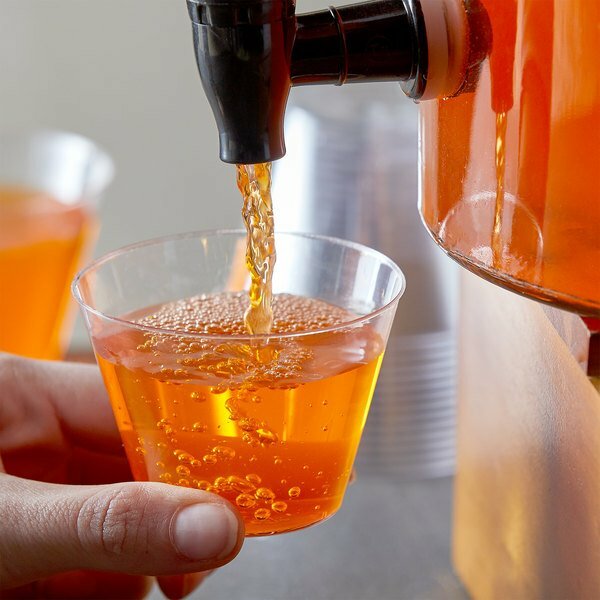 Great for a wide variety of applications, this orangeade concentrate is the perfect addition to any concession stand, convenience store, party, catered event, and more! This orangeade concentrate is generally mixed 1 part concentrate to 5 parts of plain water. Featuring a screw-on cap, this concentrate container can be resealed for convenient storing. Compatible pump dispensers (sold separately) can also be assembled to the top of the concentrate's 1 gallon container for easy dispensing. Favorite orangeade...just add water! Kids and adults alike love the taste! Not too sweet or tart. I make this drink for children's parties and adult affairs. Who needs gatorade when you can get orangeade for a fraction of the price. I make this instead of gatorade for my kids baseball teams. This is not what i expected it to be . Really taste like koolaid i even added orange slices and lemon slices but it didnt help the taste. This Fox's orange concentrate is a delicious, citrusy drink to have on a hot day. And it's easy to make. Just add 1 part concentrate to 5 parts water and voila! The lemonade is good but orangeade is less common and thus adds that extra special appeal. It has a good taste. Fox brand doesn't disappoint. This juice mix is very delicious. 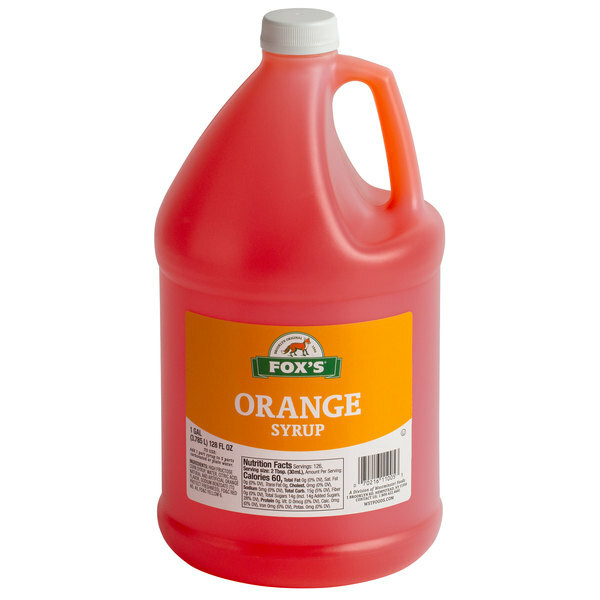 Fox's orangeade concentrate flavor is a great addition to our restaurant lunch special time. I recommend this flavor anytime. Weve been buying Fox's concentrate for many years of different flavors and have loved everyone of them! Great product of high quality that lasts a really long time. This stuff is excellent! Very flavorful and a great buy for the price. My nephew has used it to make freeze pops for himself and friends. I really like the orange flavor that this concentrate offers. It is perfectly refreshing. I also like that you can adjust the sweetness level of the product as well. Great drink mix concentrate! Tastes better than powder mixes! Great price! Makes a lot of orangeade with 1 gallon of concentrate! Quick and easy to make!! !